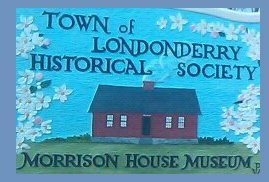 Welcome to the new Londonderry Historical Society web site. We will be updating you on a regular basis about our events, acquisitions, and accomplishments. This entry was posted in General News, Latest News and tagged blog, new, site, web. Bookmark the permalink. Love the new web site! Our 2nd Annual Antiques Appraisal Day! Bake Sale at Voting Day March 13, 2018 Londonderry High School Gymnasium, 295 Mammoth Rd, Londonderry, NH 03053, USA Consider supporting the Londonderry Historical Society by donating or purchasing baked goods during Voting Day. Donated items should be at the gym by 10 a.m.
Londonderry Historical Society is a non-profit 501(c)(3) organization dedicated to preserving the best of Londonderry’s past. All contributions are tax deductible.